This book examines the Arabic conflict resolution method known as "sulha." In this process, notable male elders mediate conflicts between and within Arab communities. A lengthy process of political jockeying culminates in a ceremony that peaks when "enemies" shake hands and publicly forgive the crimes of the other. The reality of actual sulha deviates considerably from the ideal, but both the official framework and the actual events point to a deep seated valorization of peace and reconciliation in Israeli-Palestinian society. 1. Introducing the Fieldsite, Theoretical Themes, and the Ethnographic Experience 2. Murder in the Name of the Family - Sharaf 3. 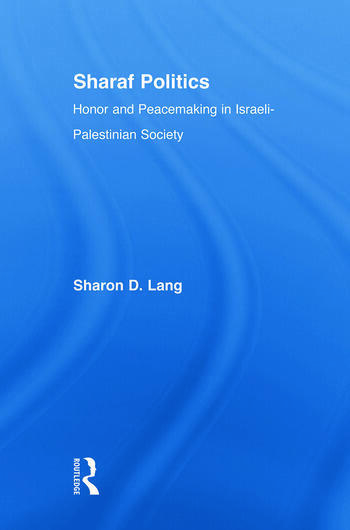 Shaking Hands with the Enemy: Sulha and the Politics of Persuasion in Palestinian Society 4. The Power of the Jaha: Constructing Political Authority in an Egalitarian World 5. Indigenous and Official Politics: The Dialectics of a Multi-Faceted, Mutuall-Influential Relationship. Conclusions. Sharon D. Lang is the Head of the Sociology and Anthropology Departments at University of Redlands.